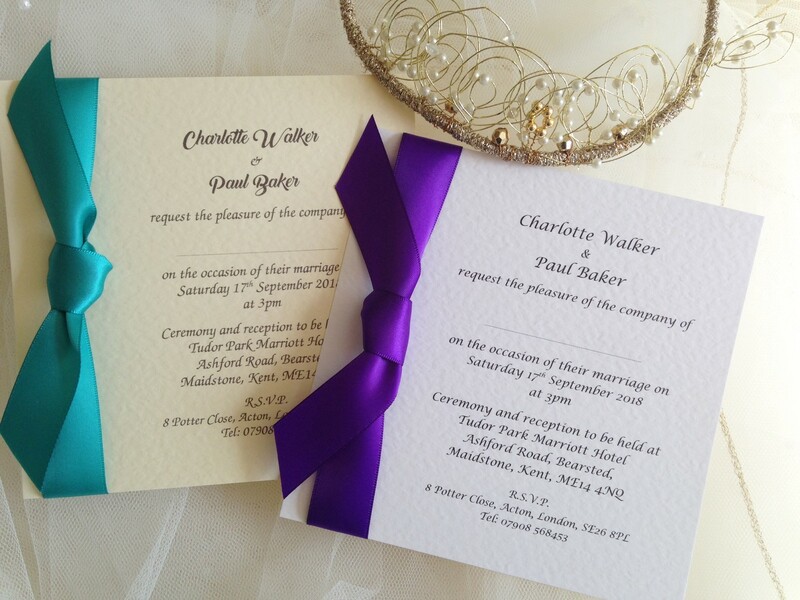 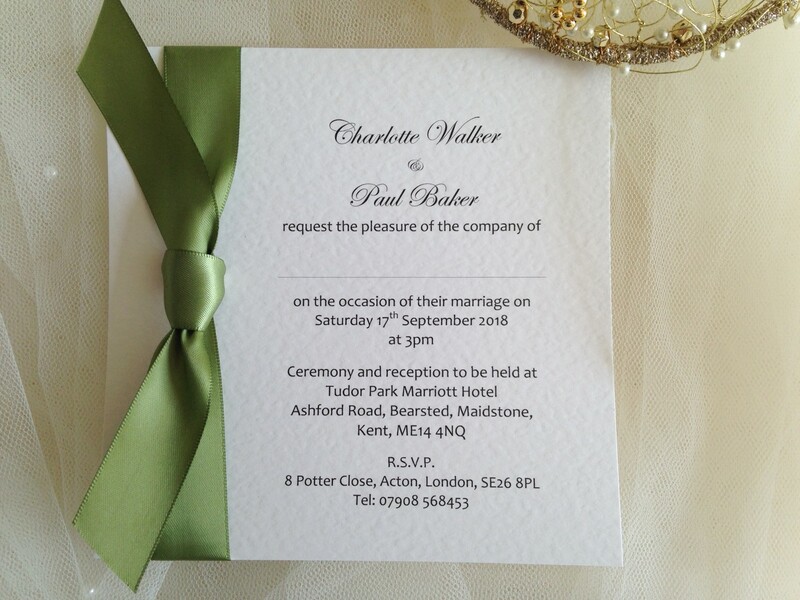 An elegant, classy wedding invitation, our Square Wedding Invitations with Side Ribbon are supplied on a thick heavy weight (270 gsm) hammered card and are available in either white or ivory. 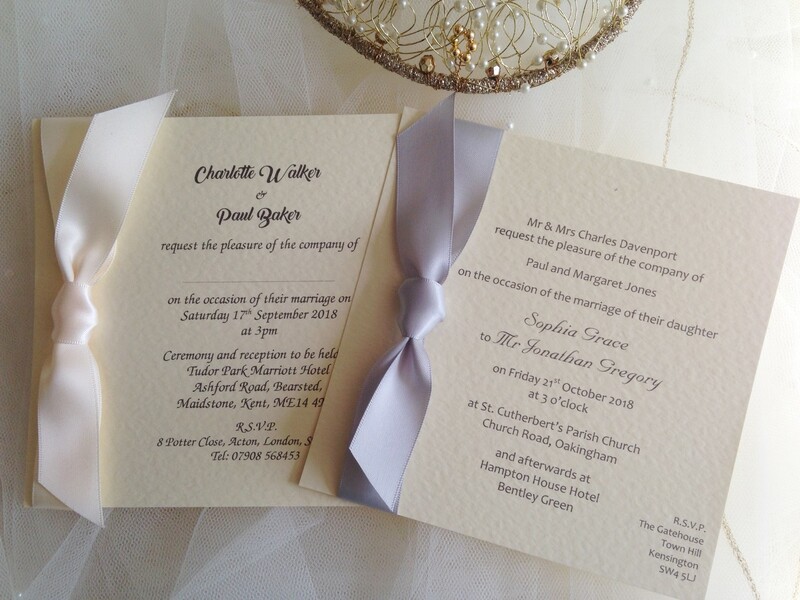 Very classy wedding invitation design and the ribbon adds a touch of luxury! 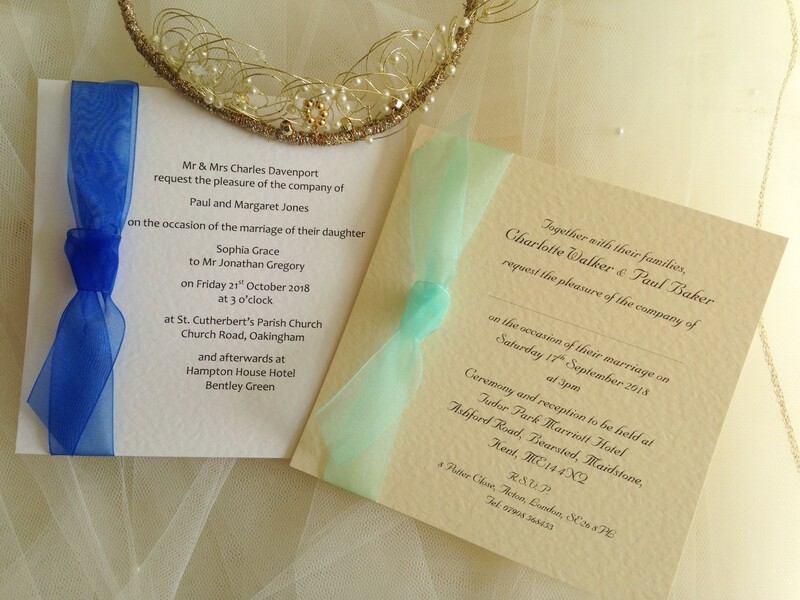 Check out the matching guest information cards and RSVP cards.